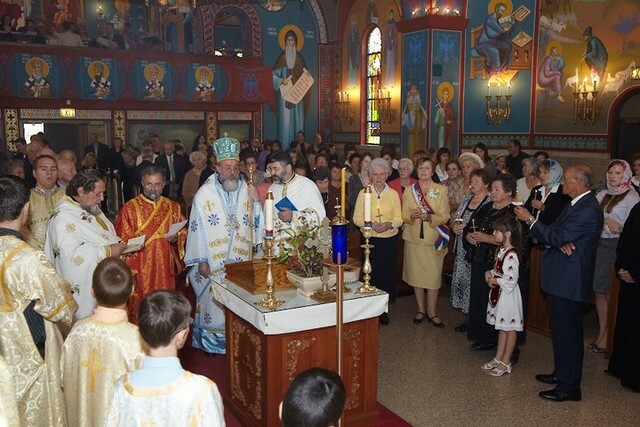 Schererville, IN - On Sunday, September 20th, the Circle of Serbian Sisters of St. George Serbian Orthodox Church in Schererville, Indiana celebrated its Krsna Slava—the Nativity of the Most Holy Mother of God. 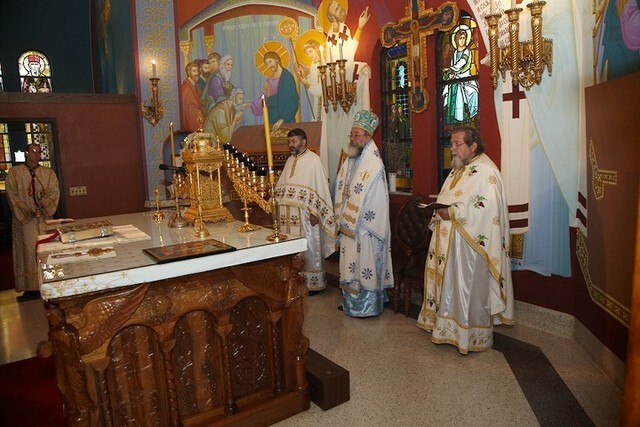 Holy Hierarchical Divine Liturgy was celebrated by His Grace Bishop Longin of the New Gracanica-Midwestern American Diocese. Our newly appointed diocesan bishop was assisted by V. Rev. 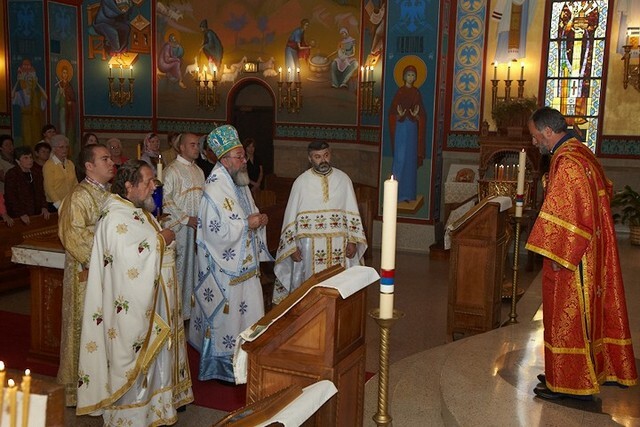 Lazar Kostur, parish priest Rev. 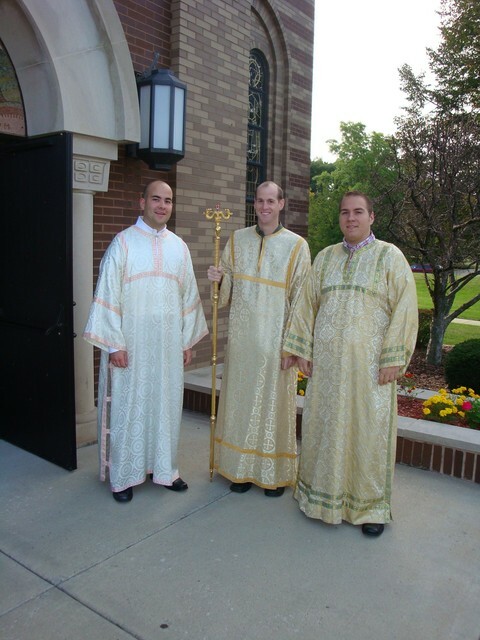 Dobrivoje V. Milunovic and Protodeacon Milovan Gogic. 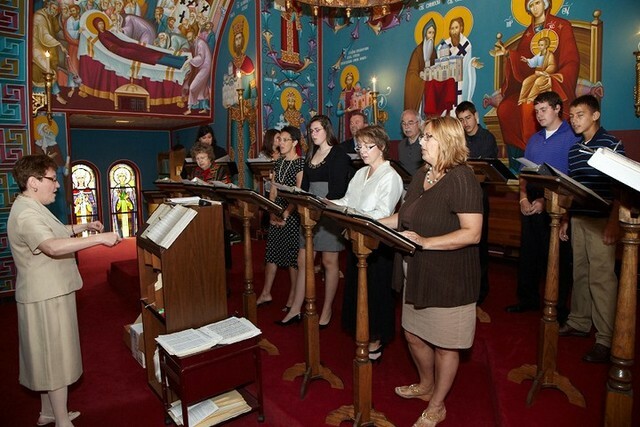 Responses were sung by the Bishop Stefan Lastavica Church Choir. 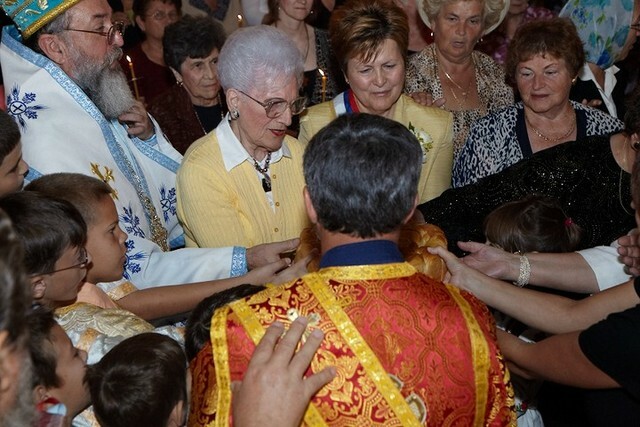 At the conclusion of the liturgy, a Memorial Service (Parastos) was held for all the departed sisters of the Kolo followed by the cutting of the Slavski Kolac (Festal Bread). 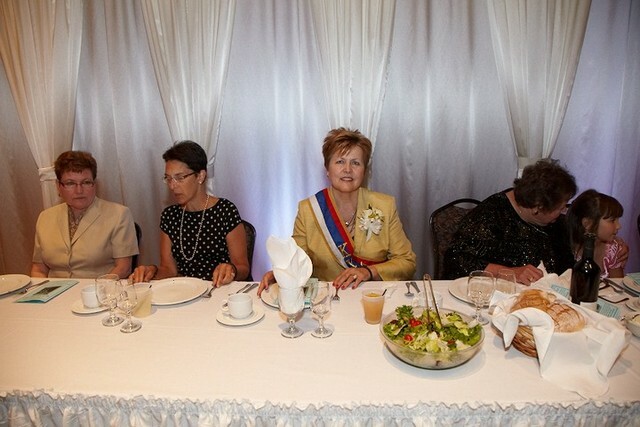 The Slava Kuma this year is Mrs. Anka Ozegovic. Bishop Longin delivered an inspiring sermon emphasizing the role of women in the Orthodox Church today and throughout history. He extended his congratulations and best wishes to all the sisters, especially their president Mrs. Mara Dobrijevic and Kuma Anka. He also spoke of the Gospel theme about two great commandments of the law: “You shall love the Lord your God with all your heart, with all your soul, and with all your mind,” and “You shall love your neighbor as yourself.” (Mt. 22: 37, 39) He stated that love is not only the essence of our Triune God the Father, God the Son and God the Holy Spirit but that the Holy Trinity is the source of love in the entire world. “The love of God is greater than heaven,” Bishop Longin exclaimed. 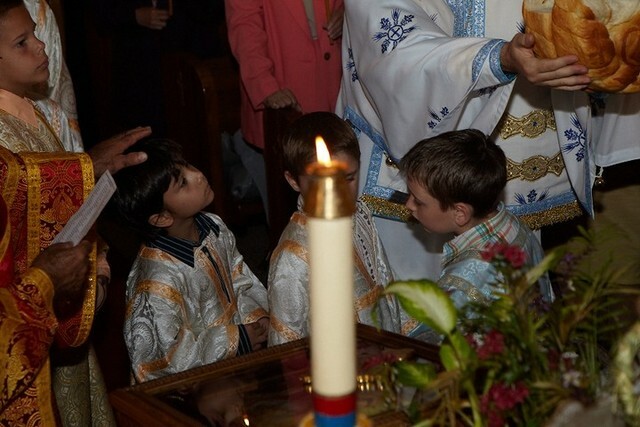 The pews were packed, and with much joy, many faithful, especially children, received Holy Communion. During the Small Entrance, Bishop Longin elevated Fr. 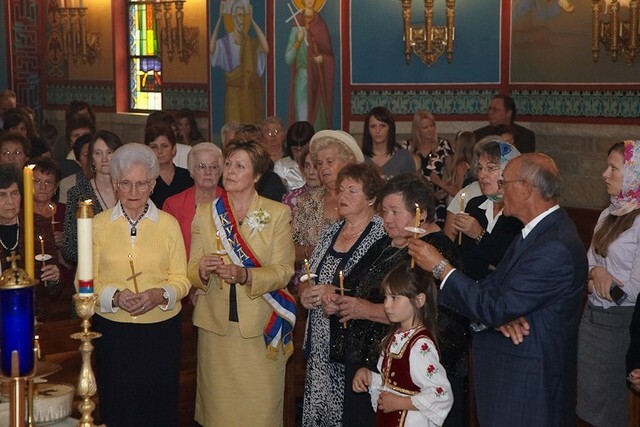 Dobrivoje to the rank of Protopresbyter. 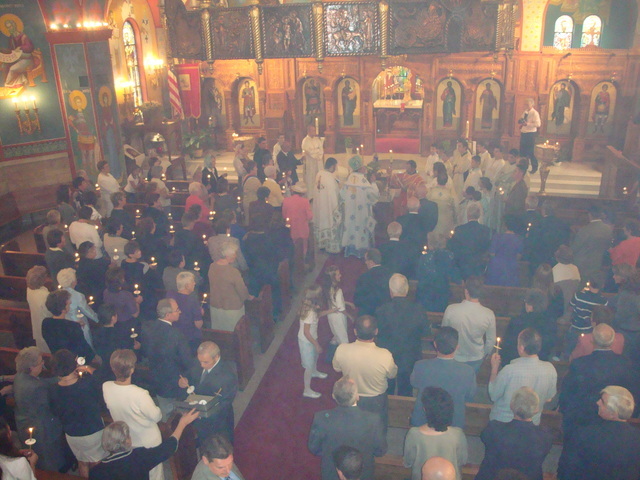 At the end of the liturgy Fr. 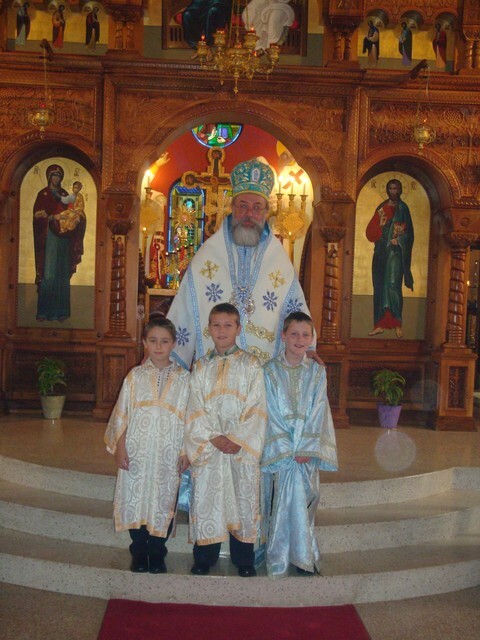 Dobrivoje greeted the sisters with a blessed Krsna Slava and thanked Bishop Longin for his spiritual guidance and kindnesses. 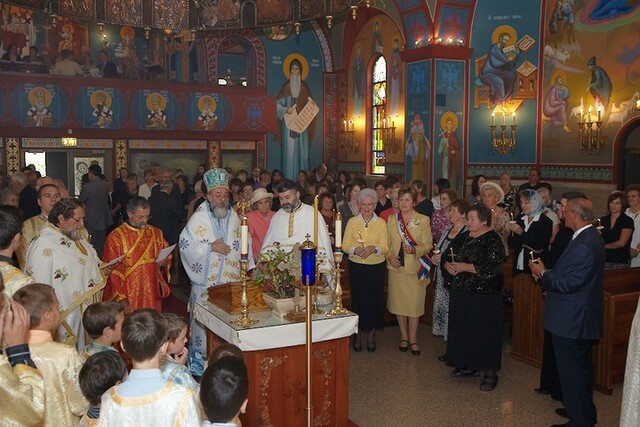 Afterward, a savory banquet was held in the New Halls of St. George. 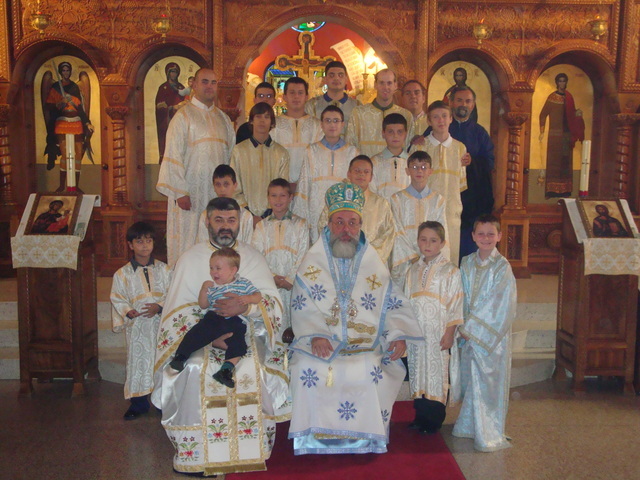 Later in the afternoon, Bishop Longin baptized little Vasilije, the third child of Father Marko and Popadija Vesna Matic at St. Sava Serbian Orthodox Church in Merrillville, Indiana. Congratulations and Mnogaja Ljeta to Vasilije Matic!